Paul K. Martin, NASA’s inspector general, has told US lawmakers that hackers gained “full functional control” of key agency’s computers in 2011. Paul K. Martin said hackers took over Jet Propulsion Laboratory (JPL) computers and “compromised the accounts of the most privileged JPL users”. 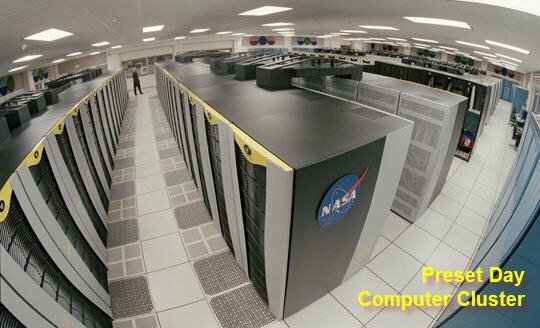 In a statement, NASA said it had “made significant progress to protect the agency’s IT systems”. Paul K. Martin’s testimony on NASA’s cybersecurity was submitted to the House Committee on Science, Space and Technology’s Subcommittee on Investigations and Oversight. In the document, he outlined how investigators believed the attack had involved “Chinese-based internet protocol [IP] addresses”. He said that the attackers had “full system access” and would have been able to “modify, copy, or delete sensitive files” or “upload hacking tools to steal user credentials and compromise other NASA systems”. Paul K. Martin outlined how the agency suffered “5,408 computer security incidents” between 2010 and 2011. He also noted that “between April 2009 and April 2011, NASA reported the loss or theft of 48 Agency mobile computing devices”. In one incident an unencrypted notebook computer was lost containing details of the algorithms – the mathematical models – used to control the International Space Station. NASA said that “at no point in time have operations of the International Space Station been in jeopardy due to a data breach”. Paul K. Martin said NASA was a “target-rich environment for cyber attacks”. He said that the motivation of the hackers ranged from “individuals testing their skill to break into NASA systems, to well-organized criminal enterprises hacking for profit, to intrusions that may have been sponsored by foreign intelligence services”. But while Paul K. Martin criticized aspects of NASA’s cybersecurity he noted investigations had resulted in “arrests and convictions of foreign nationals in China, Great Britain, Italy, Nigeria, Portugal, Romania, Turkey, and Estonia”. NASA said it was working to implement the security improvements Paul K. Martin suggested in his testimony.